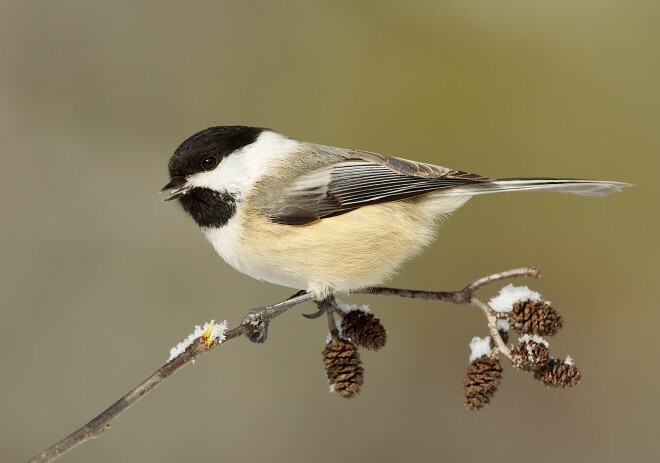 Carolina Chickadee can be found year-round in south-central and southeastern states, while the range of Black-capped extends across Canada and the northern United States, from Alaska to Newfoundland. That the two species meet and interbreed in a narrow, overlapping zone extending from New Jersey to Kansas (below) has long been known. Today, thanks to researchers from the Cornell Lab of Ornithology, Villanova University, and Cornell University, we also know that the chickadee hybrid zone is far from static. It’s moving northward at a rate of 0.7 miles per year. The cause: climate change. The movement is occurring at a rate that matches warming winter temperatures. In Pennsylvania, where the study was conducted, the hybrid zone is just 21 miles across on average. Hybrid chickadees have lower breeding success and survival than either of the pure species. This keeps the contact zone small and well defined, making it a convenient reference point for scientists aiming to track environmental changes. The researchers drew on field studies, genetic analyses, and crowd-sourced bird sightings. First, detailed observations and banding data from sites arrayed across the hybrid zone provided a basic record of how quickly the zone moved. Next, genetic analyses revealed in unprecedented detail the degree to which hybrids shared the DNA of both parent species. 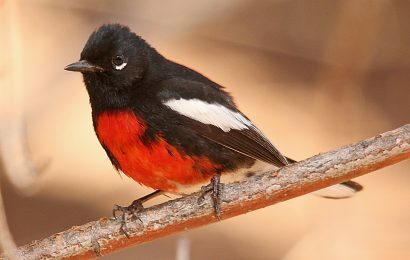 And then sightings data drawn from eBird allowed the researchers to expand the scale of the study and match bird observations with winter temperatures. 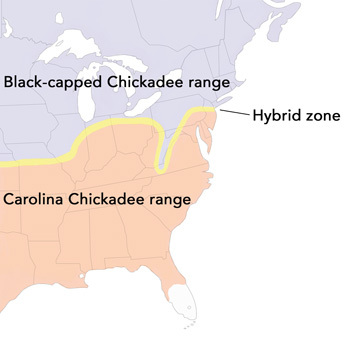 The researchers analyzed blood samples from 167 chickadees — 83 collected in 2000-02 and 84 in 2010-12 — and looked at more than 1,400 fragments of the birds’ genomes to see how much was Black-capped DNA and how much was Carolina. The site that had been in the middle of the hybrid zone at the start of the study was almost pure Carolina Chickadees by the end. 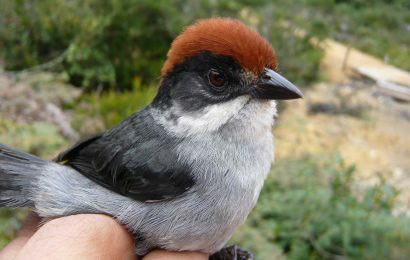 The next site to the north, which Curry and his students had originally picked as a stronghold of Black-capped Chickadees, had become dominated by hybrids. In fact, the researchers had to add an extra study site partway through their project in order to keep up. 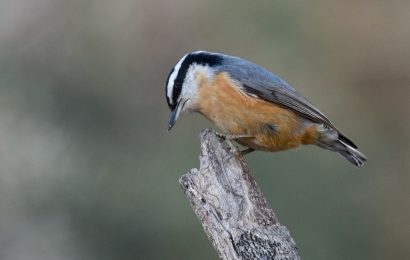 Female Carolina Chickadees seem to be leading the charge, Curry said. Field observations show that females move on average about 0.6 miles between where they’re born and where they settle down. That’s about twice as far as males and almost exactly as fast as the hybrid zone is moving. As a final step, the researchers overlaid temperature records on eBird sightings of hybrid chickadees. They found a very close match: hybrids occurred only in areas where the average winter low temperature was 14-20°F. They also used eBird records to estimate where the hybrid zone had been a decade earlier, and found the same relationship with temperature existed then, too. The only difference was that those temperatures had shifted to the north by about seven miles since 2000. The scientists published their study in the peer-reviewed journal Current Biology. Scott A. Taylor, Thomas A. White, Wesley M. Hochachka, Valentina Ferretti, Robert L. Curry, and Irby Lovette (2014). Climate-Mediated Movement of an Avian Hybrid Zone. Current Biology: Vol. 24, No. 6, 1–6, March 17, 2014. Abstract.